Search for the new IGFA World Record Goonch Catfish!! Specialist angling for catfish has become very popular in the UK and across several parts of Europe with anglers having the chance to do battle with huge powerful Wels Catfish. 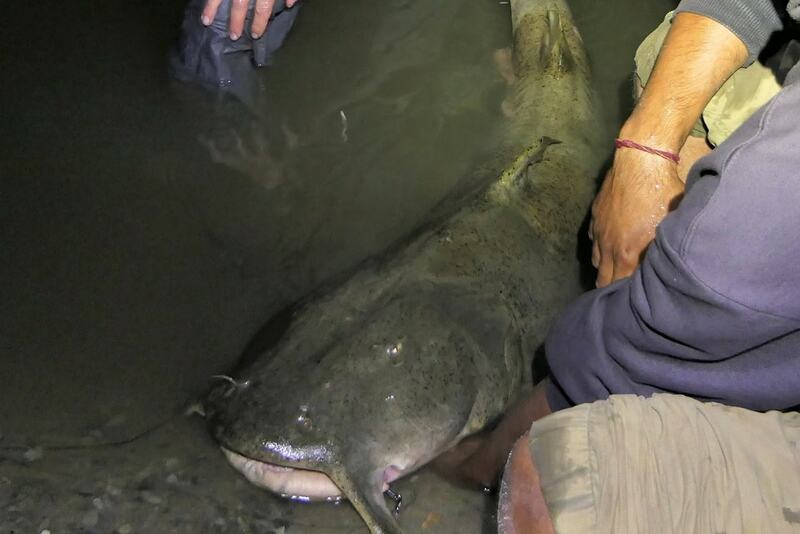 In Northern India and Nepal lives another awe inspiring catfish, equally as big and powerful as the Wels, the “Goonch Catfish” or just “Goonch”. The Goonch is a throwback to a prehistoric time, their physiology has remained unchanged for many millennia and is perfectly suited for living in the fast flowing rocky rivers and deep pools of the Asian subcontinent. Goonch are carnivores, and the best fishing methods for them include; Live Baiting and Dead Baiting, although occasionally Goonch can also be caught on Lures. Like all catfish Goonch have highly tuned senses of taste, smell, hearing, and touch. Although their eyesight may not be their most develop sense they have a 6th sense that allows them to detect electrical fields, known as electroreception. This sense alongside their other great senses make Goonch deadly at finding prey amongst the rocks, in low light conditions, and in complete darkness. Deeper Smart Sonar has already proven to be of great assistance to the GREATEST Fish Team in identifying key features in their search for Goonch. The ultimate target though will be to hopefully track down, catch, and release a new IGFA World Record Goonch.